excited to be able to offer this to you! topstitching. 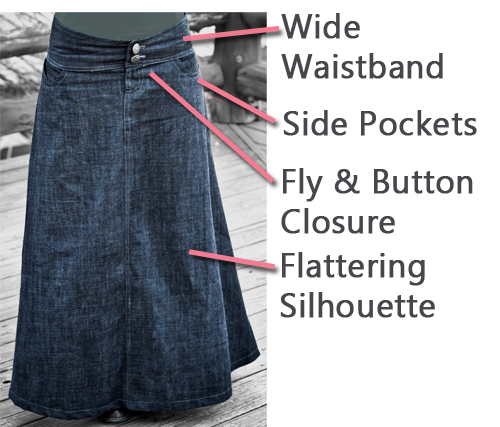 It’s the feeling of a perfect pair of jeans, but in skirt form. granted wish! 63 pages of it. 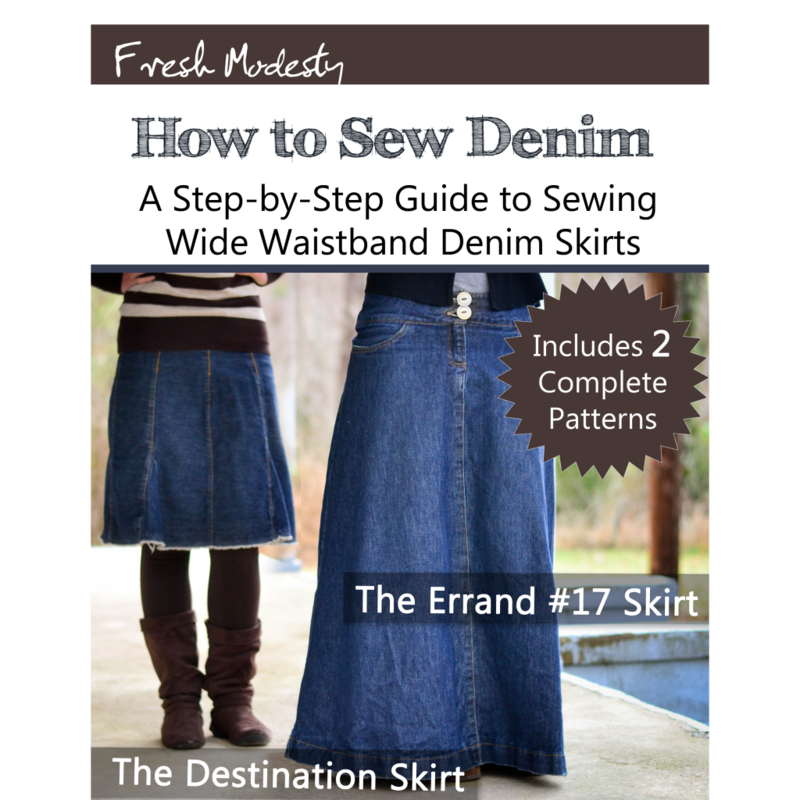 Check out the Denim eBook page! which I hope to update often, and links to both my blogs right on the menu. Alright, enough jabber! I hope y’all had a very Merry Christmas! Blessings! Let me know if you have any problems with the site. I'm sooooo excited for this ebook ! I've just downloaded it and I'm looking forward sewing the skirts ! 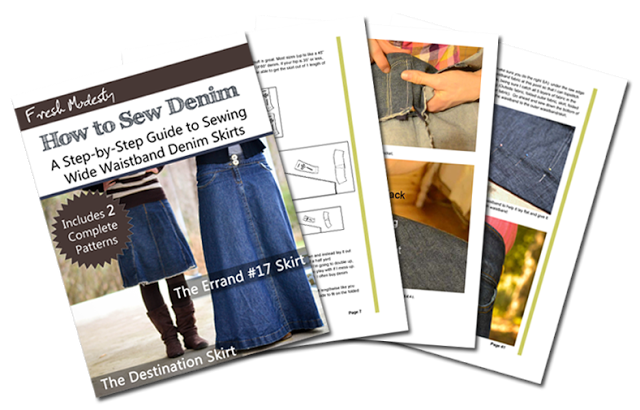 I'm so glad you work hard to have this new ebook out and I'll tell you when I'm done sewing that that skirt ! Woot woot! Glad you got it done! The website looks great. May have to try that long skirt. Merry Christmas! The book from what I can see looks fabulous, and I am so, so happy that you did this! 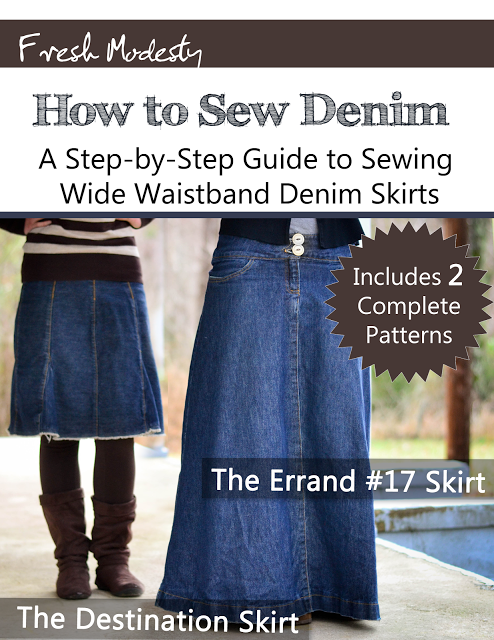 I adore your long denim skirts that you always wear (even though I am not such a long skirt type of girl) and now you've written a book on how to make them! Love it! This is wonderful! I've just gone and poked around a bit at your new site. Delightful! I love it! I really like the destination skirt! Forgive me I am totally just not 'with it' on the website (unfortunately, websites don't tend to like me.. hehe! ), but I'm curious as to how you go about buying the ebook? I absolutely love it and would LOVE to give it a whirl-because I'm so glad that we finally get to be 'in' the secrets of making awesome skirts like you do! Wow it looks great!! 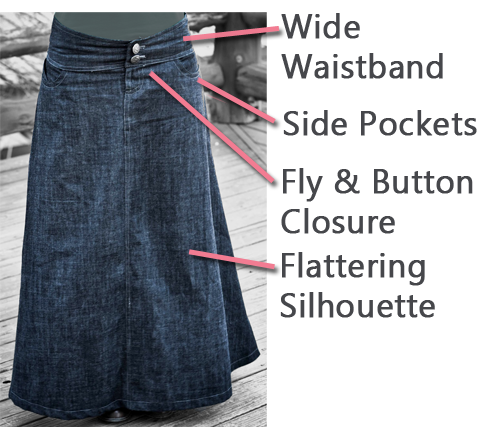 My husband hates denim skirts for some reason, but I just might buy it and use the pattern to make one in courderoy and twill! I started an ebook awhile ago and it was so much more time consuming than I expected (which is why it still isn't done), so I recognize what an accomplishment this is. Way to go! Thanks! It really was a lot of time. As far as the website goes, that alone took my dad and me almost a week of looong work days to get it all figured out. It was all trial and error and somethings we still aren't sure why it worked. So, I definitely am not qualified to show how we put it together. Sorry! If you're really curious though, we used Joomla! and RocketThemes as our platform and template. Blessings! So excited for this!! Our daughters have been anxiously waiting for this to come out and we even bought the denim last spring and it has sat just waiting to be used 🙂 As soon as the hubby gets paid Friday we will be buying this yay!! That's so exciting! How's your mom doing? I just searched through my emails and I couldn't find anything from you… would you mind sending it again to freshmodesty at gmail dot com? Thanks! @Olivia: I just re-sent the email…hopefully it will work this time. 🙂 Blessings & thanks! WOW!!! Looks awesome!! Cant wait to get the ebook!! Wow! This is so awesome! Big fan of your long skirts. Especially the camo one! Happy New Year! I am so going to have to get it! 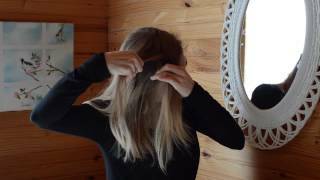 Got it – yayy! So excited!